Sponsorships are selling quickly for the 18th Annual Southern California Transportation Summit on Friday, Sept. 27 at the Disneyland Hotel in Anaheim! Titanium Sponsorship – $25,000 SOLD OUT! Steve Agor, Director of Business Development for Skanska, leads business development and proposal efforts for Skanska’s Civil Western United States business, with primary focus on the California transportation market. During his 27 years in the engineering and construction industry, Steve has led the planning, engineering and construction management of complex infrastructure projects. He enjoys working with customers, utilizing his engineering background, to find innovative solutions that work given each project’s unique constraints of the environmental impacts, community needs, budget limitations and project objectives. Steve currently focuses on Skanska’s strategic business opportunities; including government affairs, joint venture partnering and designer teaming for alternative delivering procurements. Throughout these efforts, he helps Skanska teams determine the most cost-effective solution that meet or exceed the project’s goals. Through collaborative team efforts, during Steve’s tenure at Skanska, key project wins have included LA Metro’s Regional Connector and Westside Phase 1 projects, City of Los Angeles’ Sixth Street Viaduct Replacement, SANDAG’s MidCoast Corridor Project, Caltrans District 11’s NorthCoast Corridor Project, and RCTC’s I-15 Express Lanes as well as the Airtrain Extension at SFO and Sound Transit’s Lynnwood Link L300 project. 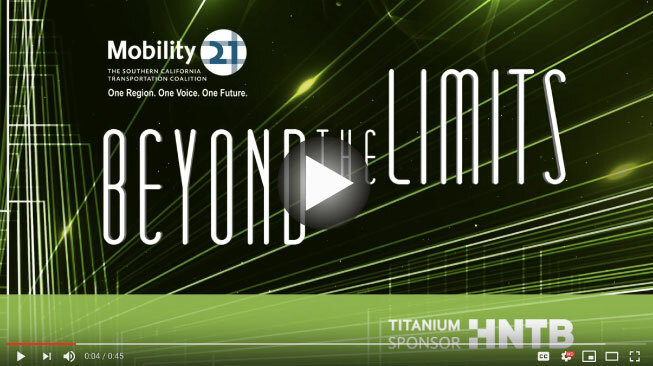 Prior to joining Mobility 21 as an Advisory Board member, Steve participated on Mobility 21’s Ad-Hoc committee regarding Work Force Development. Volunteering has long been a component of Steve’s professional and personal life. He was President of the California Water Environment Association in 2005, and serves on the Boards for both the Southern California Partnerships for Jobs and Transportation California. At home, Steve was a 10+ year board member for Lake Forest Little League, and also served numerous leadership roles for Cub Scout Pack 765. Steve earned his degree from California State University Long Beach, holds a certificate in Project Management from University California Irvine (Extension) and is a Registered Civil Engineer in the State of California. Steve and his wife of over 25 years, Lisa, along with their three sons – Koby, Brady and Rory – and their dog Spanky, reside in Lake Forest. Vic Martinez serves as the Southwest District Manager/LA Area Manager for WSP USA where he is responsible for supporting diversification and growth, driving strategic direction, and overseeing employees in the firm’s Los Angeles, Orange, San Bernardino, San Diego and Las Vegas offices. His responsibilities include oversight of the firm’s transportation and infrastructure activities in the region and WSP projects for Southern California agencies including LA Metro, LAWA, SCAG, Metrolink, OCTA, RCTC, SBCTA, City of LA, VCTC, and Caltrans. 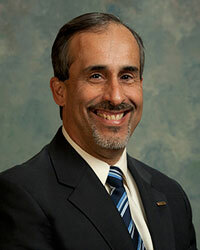 In addition to his role at WSP, Martinez is committed and proud to be a member of the Mobility 21 Advisor Board. “Being on the advisory board is a great opportunity to work with the Southern California transportation leaders to help address the issues confronting our communities,” said Martinez. WSP believes that bringing the Future Ready mentality to the issues we face as a region will bring clarity and vision to complex challenges using key trends in climate change, society, technology and resources, and challenging its staff to work with our clients to advise on solutions that are both ready for today and for this future. The ideal outcome: delivering peace of mind, lower lifecycle costs and resilience. Martinez has 39 years of transportation industry experience in California. 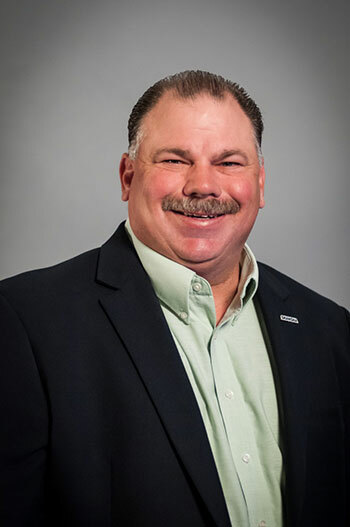 He has managed numerous complex, high-profile transportation projects throughout the state, from highway corridors involving dozens of complex structures to significant interchange and highway widenings. A licensed professional engineer in California, Vic received a B.S. in civil engineering from California Polytechnic State University, Pomona. In addition to serving on the advisory board of Mobility 21, he is a member of the Women’s Transportation Seminar in the Inland Empire, Los Angeles and Orange County chapters, and a past president of the Orange County chapter of the American Council of Engineering Companies. “WSP has had a long history serving our transportation clients in the Southern California region and I am looking forward to contributing to continued, future success,” Martinez said. Metro held two open houses in March to discuss the latest work on the Orange Line Bus Rapid Transit (BRT) Improvements Project. 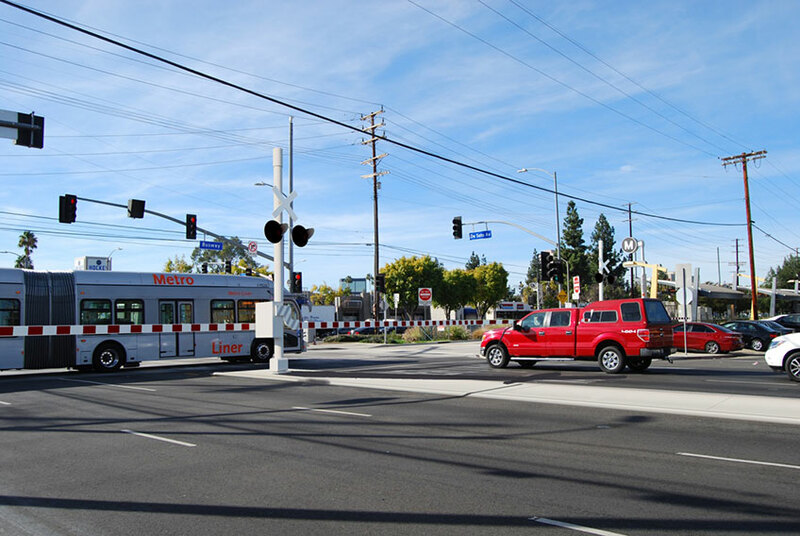 The Measure M-funded project seeks to speed up the Orange Line, make the line safer, and more reliable by installing up to 35 railroad-style crossing gates at intersections and building bridges for the busway and Orange Line Bike Path over Van Nuys Blvd. and Sepulveda Blvd. 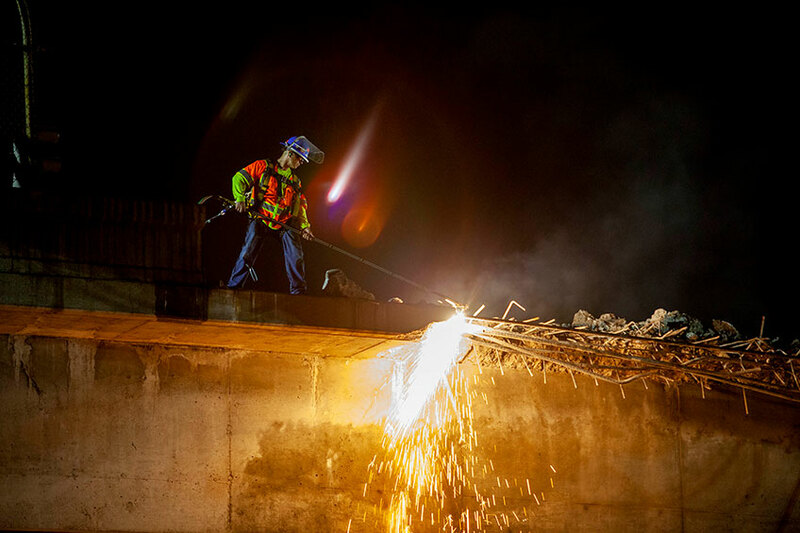 Last October, Metro broke ground on the bridge at Sepulveda Station. In early March, Metro ran a simulation on the Orange Line on a Sunday morning to see what run times might be like with gates (LAPD officers played the role of the gates). Metro staff believes the test demonstrates that this project will significantly improve the Orange Line’s safety and travel times and make the bus more appealing to more people. The Orange County Transportation Authority continues to fulfill promises to Orange County voters who renewed Measure M in 2006, as work is well underway on the $1.9 billion I-405 Improvement Project between Costa Mesa and the Los Angeles County line. Photo courtesy of OCTA. The Orange County Transportation Authority is keeping its promises to deliver transportation improvements to the county in accordance with what was pledged to voters who overwhelmingly approved the renewed Measure M, the half-cent sales tax for such improvements. That’s according to the findings of an independent review presented to the OCTA board of directors in March that assessed the performance of how these funds, known as OC Go, are being utilized. The report indicates that the funds are being spent efficiently to improve Orange County transportation by relieving freeway congestion, fixing potholes, synchronizing traffic signals, enhancing transit and helping the environment by reducing air and water pollution. The report, presented by independent consultant Sjoberg Evenshenk on Monday, March 11, looked at a three-year period between July 2015 and June 2018. A triennial report is promised under the terms of the renewed Measure M.
The report assesses OCTA on how it is delivering projects and programs through Measure M, also known as OC Go. “One critical measure of a public agency is how well it serves its residents and I’m incredibly proud that an independent review has found OCTA is delivering tangible results for Orange County’s transportation system,” said OCTA CEO Darrell E. Johnson. Aligning well with peers reviewed. 2 million cubic feet of trash collected before reaching Orange County water ways, and 1,300 acres of land that was eligible for development instead preserved as open space. Measure M was initially approved in 1990 and renewed in 2006, providing a reliable revenue stream for transportation improvements through 2041. The original Measure M made possible more than $4 billion worth of transportation improvements to help Orange County residents, workers and visitors travel more efficiently throughout all parts of the county. The renewed Measure M is expected to generate approximately $13.5 billion for improvements. Freeways will receive 43 percent of the funding, streets and roads 32 percent, and transit 25 percent of Measure M dollars. The freeway program includes funding for an environmental program that preserves and restores natural habitat and improves water quality. The findings of the independent review will be forwarded to the Taxpayer Oversight Committee, an 11-member public committee that monitors OCTA’s use of Measure M funding. The committee holds an annual public hearing and has determined for 27 consecutive years that Measure M is being delivered as promised. 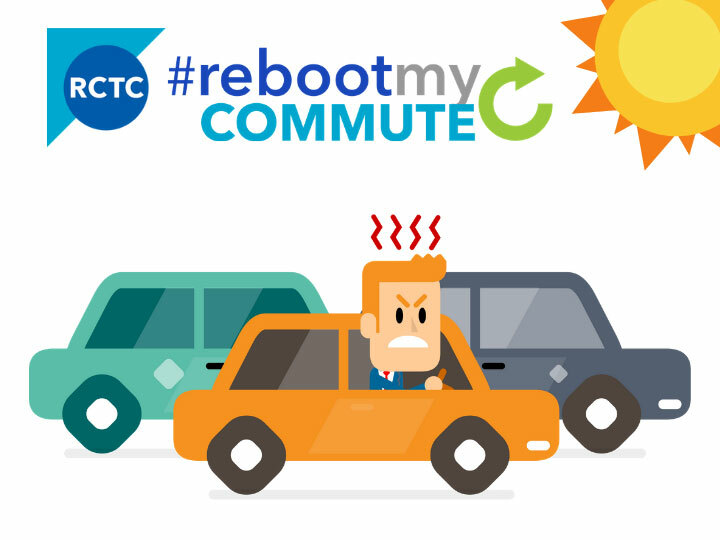 No one likes sitting in traffic, being late to work, or hitting a big pothole on the way to the grocery store. RCTC is frustrated by these things too. 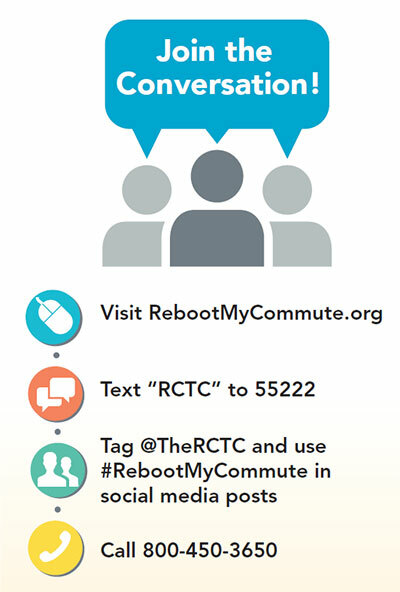 To drive change, RCTC has created #RebootMyCommute, a public engagement campaign that urges feedback from every corner of 7,300-square-mile Riverside County. This feedback will help update the transportation roadmap, which is vital to our economic growth, public safety, and quality of life. Op Ed Published in OC Register by OCBC President and CEO Lucy Dunn and NeighborWorks Orange County President and CEO Helen O’Sullivan. 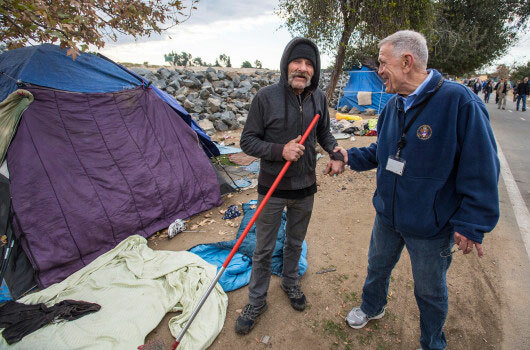 A pervasive and spiraling problem of homelessness in Orange County continues to dominate both media headlines and water-cooler discussions in Orange County even after a year of progress. With a goal of housing 2,700 people experiencing homelessness, Orange County elected officials have stepped up to fund new shelters, Orange County United Way’s aggressive public education campaign reminds us of the facts and economic impact of deferring solutions, health organizations have made remarkable advances expanding mental health services for the most vulnerable and national attention around hundreds camped along the Santa Ana River — promising otherwise to come to a community near you — have abated for now. In that spirit, Orange County’s business community will engage as well. Orange County’s world-class quality of life, growing and diverse economy and economic strength is what differentiates us. It’s a key driver in attracting top talent, high-paying jobs and retaining best-in-class employers. Homelessness is not a positive indicator, to say the least, and as OC United Way reminds us, these are family members, workers, neighbors, students and veterans. They are us. So how can the private sector help? Certainly in advancing OC United Way’s efforts, as well as in praise and support for those brave elected officials doing the right thing in their communities — advancing more housing projects — even over the noisy objections of NIMBYs. Further, two leading authorities, Orange County Business Council and NeighborWorks Orange County, have come together to re-establish and pump up the volume on another non-profit asset, the Orange County Housing Trust (OCHT). OCHT follows an effective model that has celebrated nearly 20 years of making affordable and permanent supportive housing a reality in the Bay Area. Since its formation in 2000, Housing Trust Silicon Valley (HTSV) has invested $131 million in programs that created nearly 15,000 affordable housing opportunities for its community. The trust also raised $50 million dollars in less than two years from the business community to help end homelessness. HTSV is well on its way. And while small today, OCHT will also focus on affordable and permanent supportive housing throughout Orange County through private capital contributions, wise investments, grants and project loans, leveraging public funding efforts already underway, including the good work of the Association of California Cities — Orange County and its new Orange County Housing Finance Trust (AB448). Already, Disneyland Resort has proudly stepped up as a leader in the business community in support of this effort, committing the first $5 million to OCHT’s efforts and asking other business leaders to join with it. OCHT has identified its first project with an investment in an affordable and permanent supportive housing project on Manchester Avenue in Anaheim led by Jamboree Housing, with land contributed by the city of Anaheim. Once complete, the project will deliver 102 housing units for families, some making $32,800 or less annually. That’s just one project with many more needed to end homelessness in every Orange County community. Indeed, many hands make light work: public leaders, agencies, healthcare, business, private partners, nonprofit organizations and more have aligned to advance an important test of any great community: How did you care for your most vulnerable? What did you do to end homelessness? For more information on how your business can contribute to the success of OCHT’s mission, contact us. Lucy Dunn is president and CEO of the Orange County Business Council. Helen O’Sullivan is president and CEO of NeighborWorks Orange County. Don’t miss the Southern California E-commerce and Logistics Summit! 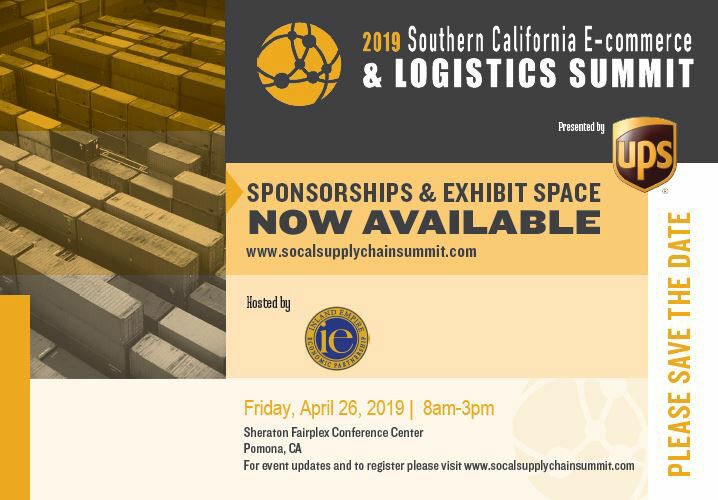 This annual event addresses the entire Southern California network of logistics and supply chain interconnectivity within Los Angeles, Orange County, San Diego and the Inland Empire. From the ports, to the railways and trucking, to air cargo and warehousing – Southern California is like no other region in the country. Many of the region’s top logistics and supply chain leaders will gather at the Sheraton Fairplex Conference Center in Pomona – the epicenter of this vast region – to discuss the current state of affairs as well as the future trends that will impact Southern California’s ever-expanding logistics and supply chain network. Tickets for SCAG’s premier regional leadership event are now available – register today! 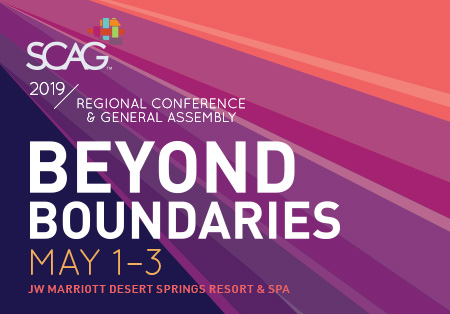 The 54th SCAG Regional Conference and General Assembly will convene on May 1-3 at the JW Marriott Desert Springs Resort & Spa in Palm Desert, CA. This year’s theme, “Beyond Boundaries,” is about transcending the jurisdictional boundaries of individual cities and counties to plan for the whole region. The event’s panel topics will lay the foundation for Connect SoCal – the 2020-2045 Regional Transportation Plan/Sustainable Communities Strategy and will explore what it means to truly connect a region of 191 cities, identify paths to strengthening leadership and community-building around traffic safety, and provide tangible strategies for harnessing new technologies to benefit everyone.